If you're considering selling your home, it's important to take a moment and try to look at it with fresh eyes. It's easy to get used to the small smudges and scratches that are signs of normal daily life, but all those tell tales signs can really add up when viewed by someone who has never been in your house. Here's a list of 31 things you should do before you put your house on the market and then maintain while it is on the market. The good news is, most of these are very DYI friendly. Edge, mow, weed and fertilize the lawn. Possibly reseed patches. Trim hedges, weed flowerbeds, trim hedges (make sure you cut back shrubs from the walls of your home) and prune trees. Seal any cracks in foundation, steps, walkways, and walls. 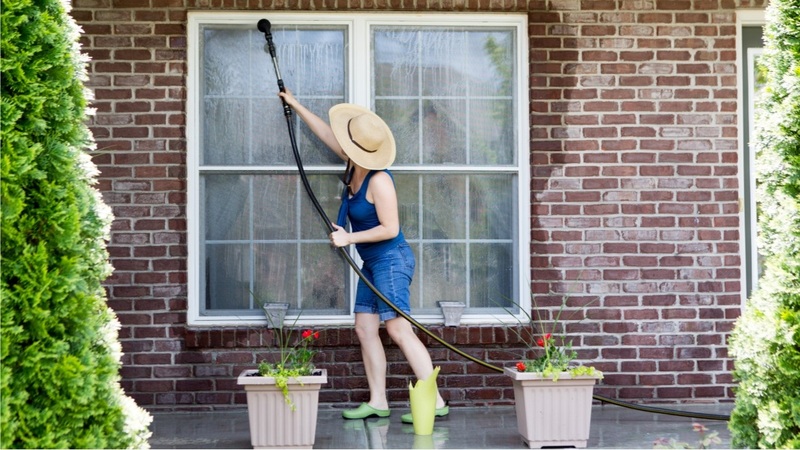 Power-wash your home’s exterior. If you find peeling or fading paint, consider repainting in a neutral shade. Repair/replace loose or damaged shingles. Remove any oil stains from driveway and garage. Sweep the porch, walks and driveway. Place vividly colored pots of outdoor flowers near the front door. Store RVs, boats and extra vehicles elsewhere while the house is on the market. Stop the noise - nail down any creaking boards or stair treads and lubricate any squeaking doors. Scrub all appliances (especially refrigerator and oven). Keep toys in the children’s rooms and bikes, wagons and skateboards in the garage.